I’m fond of our regional food. I love the stories behind it, its traditions, the people who produce it and the places where that food is created. I also believe in genuine homemade food as magical tool to pull people together, to create a sense of community and to help finding common points of view. Traditional food, in particular, is the best lens to know and understand the others’ history and cultural identity. This is why I give cooking classes on Italian Riviera cuisine: to share my passion, my stories and my knowledge with people of different countries, always learning something new myself! I open my house and my kitchen to you for a genuine local food experience. So, come on, chose a class and let’s cook together! 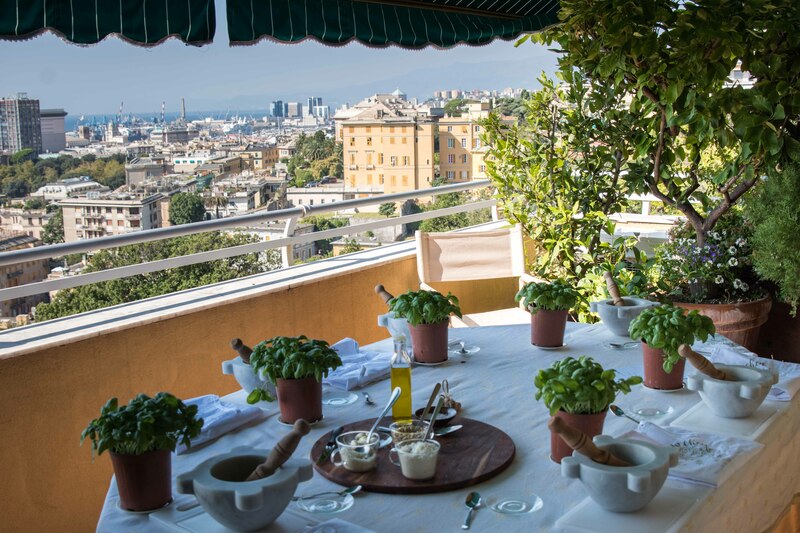 Are you looking for a real-life food experience in Genoa? Are you curious about how in Genoa people do their daily food shopping? How they chose the best ingredients for their traditional recipes? How they distinguish what food is really genuine, local and on season? And, of course, how they, at home, in their family kitchen cook their food? 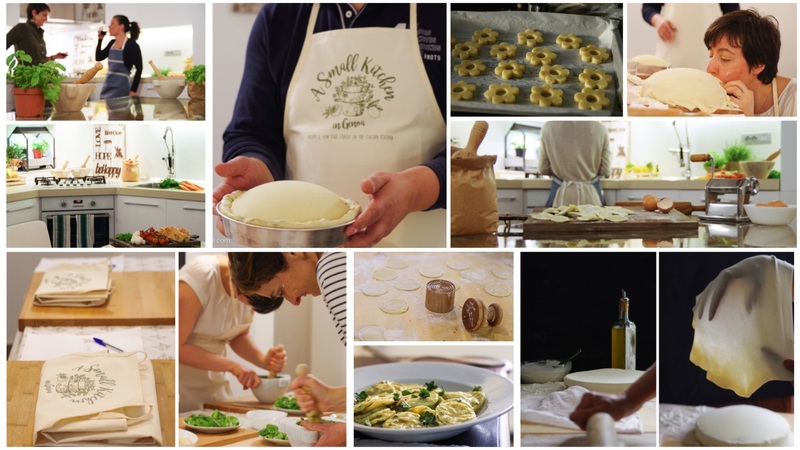 Well this is what I offer you with my Genoa market to table cooking class! 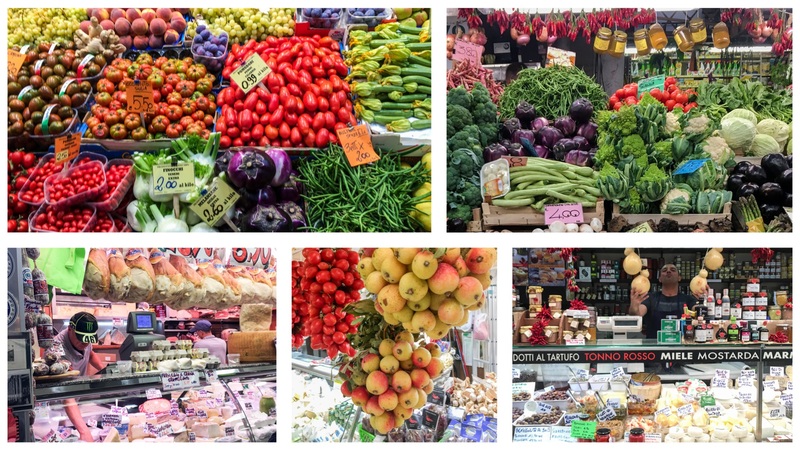 After a coffee in a traditional bar where we will plan together our seasonal menu while tasting some local cookies, we will visit Genoa Mercato Orientale, the biggest food market in town, and shop all the ingredients for our lunch. We will choose the best veggies on season, buy some focaccia, taste and grab local cheeses and charcuteries for a glorious cheeseboard, and of course fish or meat according to our planned menu and availability. 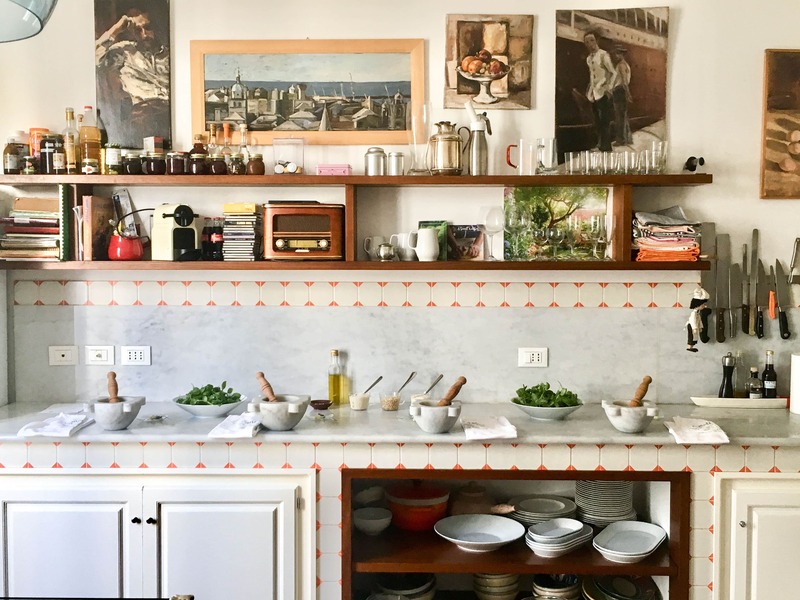 Then we will go back to my home (15 minutes walking from the market, but we can take also a taxi if needed), in my kitchen, and cook together a traditional Genoese lunch. If the weather so permits we will eventually enjoy our culinary efforts with a glass of local wine on my terrace facing the whole town! Any allergy or adversion must be communicated in advance, dishes in the menu can be changed according to your needs. Here an example of possible menu options. We will decide what to cook according to your preferences (there are vegetarian, pescetarian and vegan options), to the time at our disposal and to the season, of course. Pasta Course: Traditional freshhand-made pasta (tagliatelle or corzetti) or potato gnocchi with pesto in the mortar or pansotti (veggies filled pasta) with walnut sauce or a traditional soup. Main Course: a savory pie and a cheese pie (focaccia al formaggio di Recco), meat rolls (tomaxelle), Italian Riviera braised chicken; filled anchovies (acciughe ripiene), stewed cuttlefish (seppie in zimino), greenbean and potato meatloaf (polpettone). All top quality local ingredients for preparing the dishes. Local wine tasting, cheeses and charcuteries. Final lunch with what prepared, plus dessert and digestive. An apron with the logo of the cooking class to take home as a nice memento of the experience. A local food blogger fluent in English or Spanish in love with her Region, its history and its culinary tradition. A lot of fun and laughs in a peaceful family kitchen! For more information and reservations (min 2 persons – max 6 persons) please write me at enrica@asmallkitcheningenoa.com. For an anticipation on my cooking classes get a peek at the special contents in my Instagram profile! And if you wish a total full immersion in the flavors of Genoa, you can enjoy my Genoa food tour ! 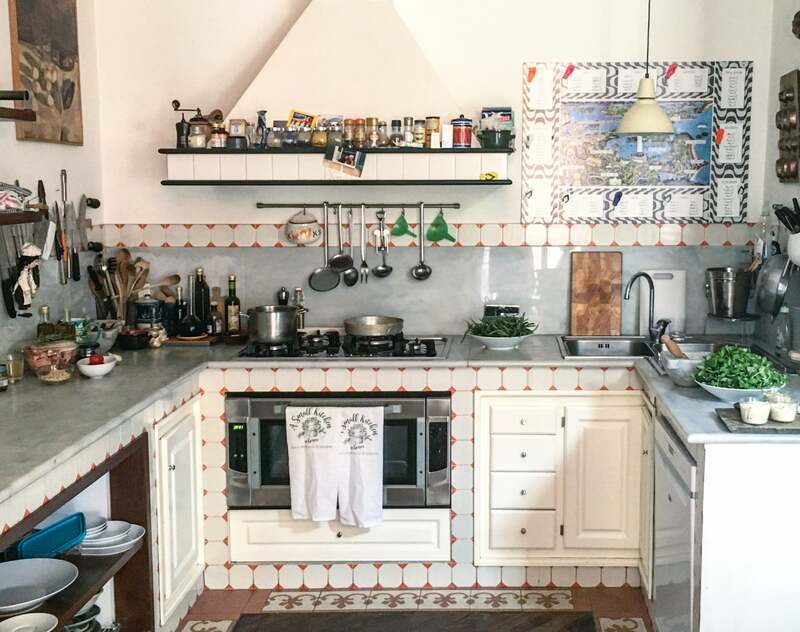 A fun, creative, cultural and interesting 360 degree cooking class in Genoa! We will cook an entire Italian Riviera menu that you will be able to easily duplicate at home, all from scratch! The class is 100% hands-on. I will guide you through all the ingredients and the cooking techniques and you will learn how to cook like an Italian (or better like a Genoese!). During the course we will chat on Genoese and Italian cuisine and I will tell you stories behind each local product we will use and each traditional dish we will prepare. It will be a full immersion in the Italian Riviera food culture! In this 4 hours cooking experience I will teach you how to make traditional focaccia, if you wish how to make pesto sauce in the mortar as tradition rules (my speciality, I can boast of having gone to finals at the 2016 Genoa Pesto Word Championship!) 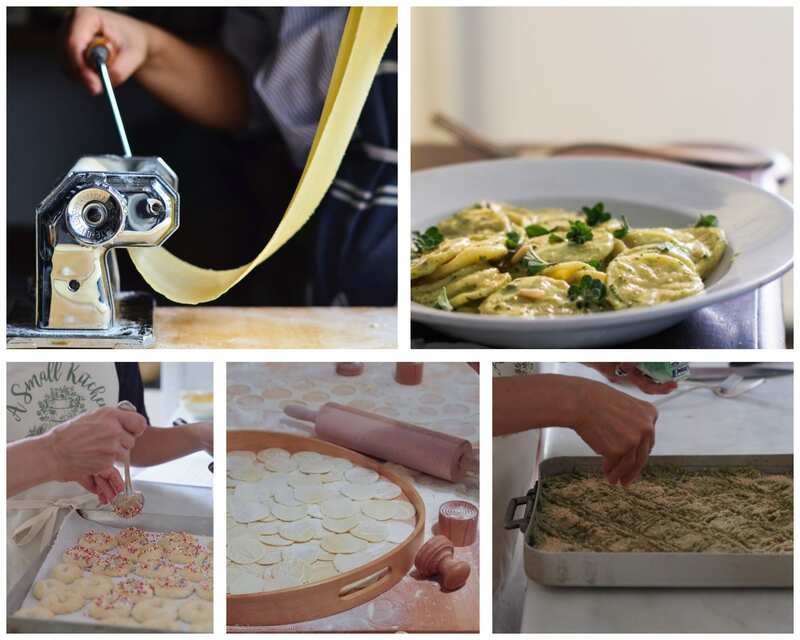 , how to prepare handmade traditional pasta, a savoury pie learning how to stretch dough thin like a bride veil or another traditional main dish. We will cook also a dessert to finish big! During the class we will enjoy an aperitivo where you will taste a local DOC wine jointly with samples of local cheese and charcuterie. Btw it’s also a party! And finally, after our Genoa cooking class, we will eat all together what we prepared, all wrapped up with a digestive as the Italians do. It will be as a dinner with friends. Pasta Course: Traditional fresh hand-made pasta (tagliatelle or corzetti) or potato gnocchi with pesto in the mortar or pansotti (veggies filled pasta) with walnut sauce or a traditional soup. Dessert: shortbread cookies (canestrelli), baked peaches, Italian Riviera floating islands (sciumette), Genoa cake (pandolce), almond cookies (quaresimali). Final lunch with homemade pasta, main dish, side dish, dessert and digestif. The recipes of the dishes prepared in English to take away. A local food blogger fluent in English in love with her Region, its history and its culinary tradition. A lot of fun and laughs in a peaceful familiar kitchen! And if you wish a total full immersion in the flavors of Genoa, you can enjoy also a Genoa food tour ! 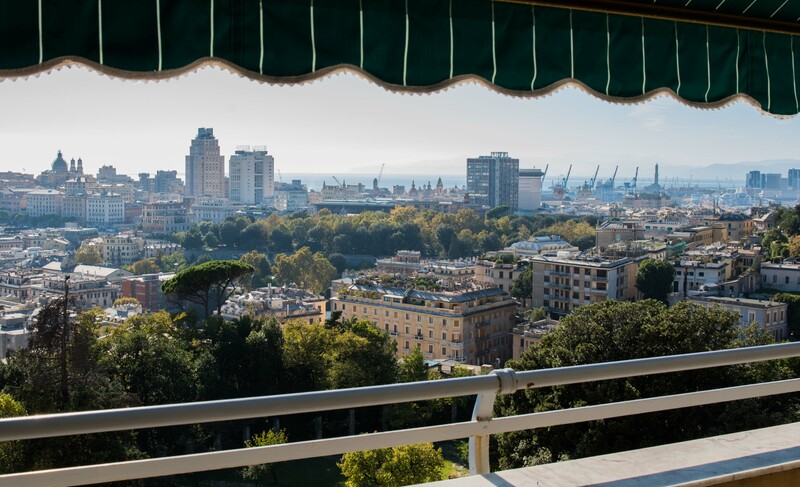 Do you stay in Genoa just for a short time but don’t want to miss a memorable food experience in the city? 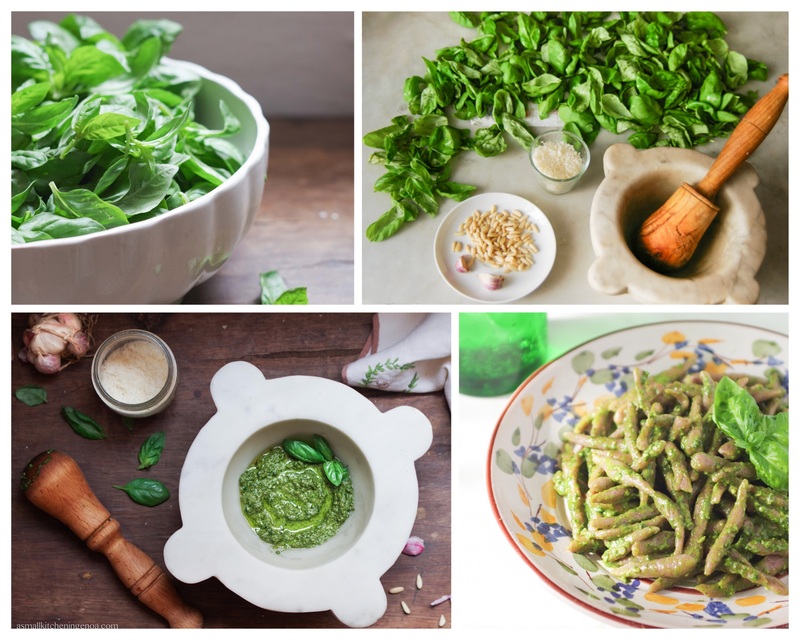 I will teach you how to make the authentic Genoese pesto in the mortar: the correct gestures, the right ingredients and the story behind them, the perfect balance of all the flavors. You will come back home with all the secrets to make a perfect pesto. After the pesto lesson a light Italian Riviera lunch will follow during which you will have the possibility to taste a typical pasta dish seasoned with your own handmade pesto (and confront it with the others! ), a traditional salad, focaccia, a glass of local wine, coffee and limoncello. a one and a half hour hands-on pesto cooking class with mortar and pestle. all top quality local ingredients for preparing the pesto. a light lunch with traditional pasta, seasoned with your pesto, a glass of wine, focaccia, a traditional salad or savory pie, coffee and limoncello. all instructions for making the perfect pesto prepared in English to take away. a local food blogger fluent in English and in Spanish in love with her Region, its history and its culinary tradition. And if you wish a total full immersion in the flavors of Genoa, you can enjoy also the Genoa food tour in the very same morning ! This cooking class is a light mix of the previous two classes. 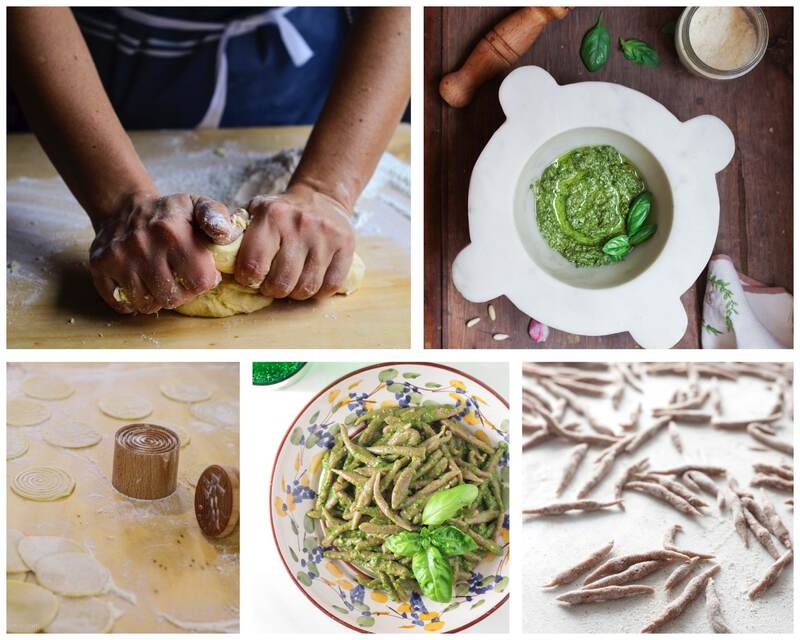 I teach how to make the authentic Genoese pesto in the mortar (the correct gestures, the right ingredients and the story behind them, the perfect balance of all the flavours) and how to make a traditional Italian Riviera fresh pasta. Participants will come back home with all the secrets to make a perfect pesto and a perfect handmade pasta and the wood tools if they like. The class is 100% hands-on. Each participant has its working station and its mortar. After the lesson a light traditional lunch will follow during which all the participants will have the possibility to taste their handmade pasta seasoned with their handmade pesto sauce, jointly with a salad or savory pie, some focaccia, a glass of local wine, coffee and limoncello. A light lunch with handmade pasta, seasoned with pesto made by participants, a glass of wine, a salad or savory pie, coffee and limoncello. All instructions for making the perfect pesto and the homemade pasta prepared in English to take away. A local food blogger fluent in English and Spanish in love with her Region, its history and its culinary tradition. A lot of fun and laughs in a peaceful familiar kitchen. And if you wish a total full immersion in the flavors of Genoa, you can enjoy the Genoa food tour in the very same morning !